Polar Bears are the face for climate change impacts on today’s species – and for good reason. Global warming has caused the most devastating effects in the Arctic so far, and the trend has only just begun. While polar bears have some capacity to adapt to the changes happening in the Arctic due to their genetic diversity, their high dependence on sea ice makes them extremely vulnerable in a changing climate. Polar bears depend on the ice for hunting, travelling, resting, mating and creating their cub dens. Most importantly, they rely on prey such as seals, which are ice-dependent creatures as well. While these incredible animals can adapt, they also need time to do so – a concept that is withering away the more fossil fuels we burn. Our Declining Polar Bear Population: Are Polar Bears Endangered? Polar bears roam in the Arctic and surrounding land. There are 19 subpopulations and some scientists estimate their population at 20-25,000. The World Conservation Union has listed polar bears as vulnerable, while the US Endangered Species Act has them listed as a threatened species. There are a few reasons for this decline, however, the most apparent has been habitat loss. Habitat degradation and over-harvesting are responsible in some areas. It’s important to see how rising temperatures can affect their habitat presently as well as further into the future. Loss of summer sea ice results in less hunting time for polar bears, and therefore less ability to store fat. The sea ice reduction forces polar bears to swim longer lengths, using up their already depleted fat reserves. It means less amount of seals, since seals are ice-dependent animals as well. Seals are the bear’s main source of food, leaving them desperate for food or starving. Loss of ice means bears spend more time on land, leading to more interactions with humans and possibly more mortality because of this. Loss of sea ice has put polar bears in a horrible predicament: homeless and starving. Subpopulations in the southern range of the Arctic can give us an idea of the future impacts of climate change on polar bears. In this region, habitat loss has been the most dramatic. A well-researched example is the western Hudson Bay area where ice break-up began 30 years ago. This has resulted in dramatic weight losses in the polar bears here. The average female weight has dropped 21% and the population has decreased by 22%. If we look towards Alaska, there’s been evidence that sub mortality has increased due to sea ice decline. Migrating north isn’t a probable option, due to its inability to currently support greater numbers of bears. While some may be able to migrate and live, most of the polar bears will endure a slow and steady loss of land, resources and life support. While these shocking statistics have been occurring over the past 30 years as climate change has only begun to accelerate, it’s easy to imagine what the future will hold for these creatures and their delicate homes. The reasoning behind polar bear’s threatened species classification is the impacts of climate change on polar bear’s precious habitat. Data shows the current situation isn’t the only thing to worry about, but that further habitat degradation will increase threats to polar bears. There needs to be priority emplaced for climate-informed polar bear conservation organizations to protect the final ice areas. These are the areas that are predicted to maintain sea ice longer. There also needs to be more of a demand to increase polar bear population monitoring – specifically for declining sea ice. On top of this, organizations and communities that are near declining sea ice zones should become better prepared to manage human-polar bear interactions as polar bears begin spending more time on land. 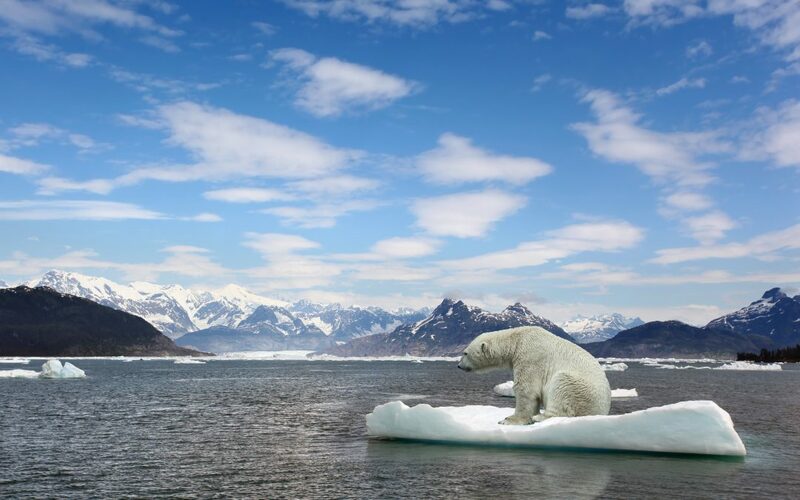 While these are preventative measures, one of the strongest ways to actively help the polar bears and their declining habitat is to reduce fossil fuel emissions. This can be done by changing your current lifestyle, the way you use energy, the way you eat and who you vote for. There are currently around 26,000 polar bears on the planet. Without climate change action, scientists predict we could lose these incredible, wild animals by 2100. The time is now and the choice is yours.